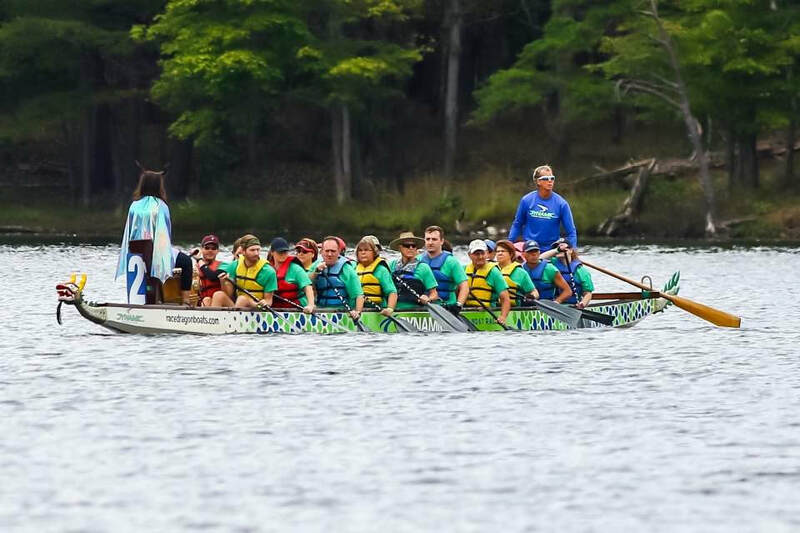 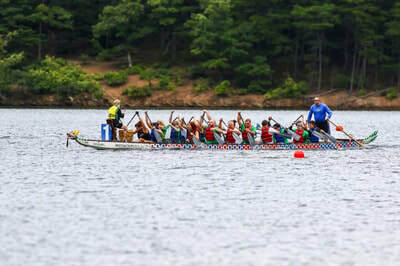 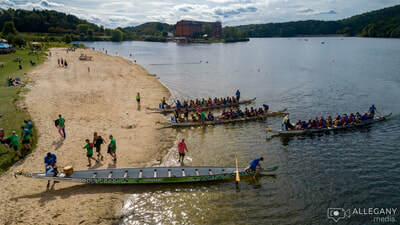 ​ Dragon Boat racing is making a splash in Western Maryland! 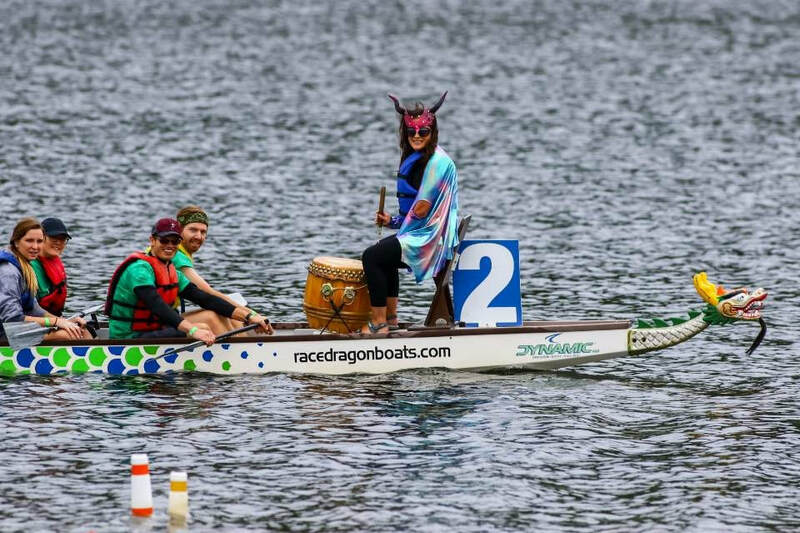 Don't miss out on the fun! Dragon boat racing is the one of the fastest growing sports in the world and the most fun, unique cultural event featuring adrenaline-pumping action. 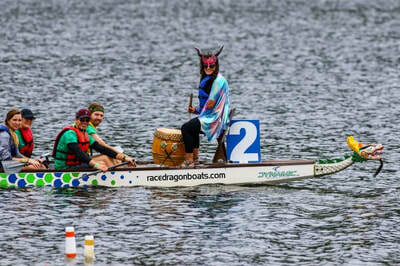 Dragon boat racing grows in popularity each year, with more than 50 million people in 63 countries participating. ​ The Cumberland YMCA Dragons on the Lake Festival will take place on Saturday, September 21, 2019, at Rocky Gap State Park. 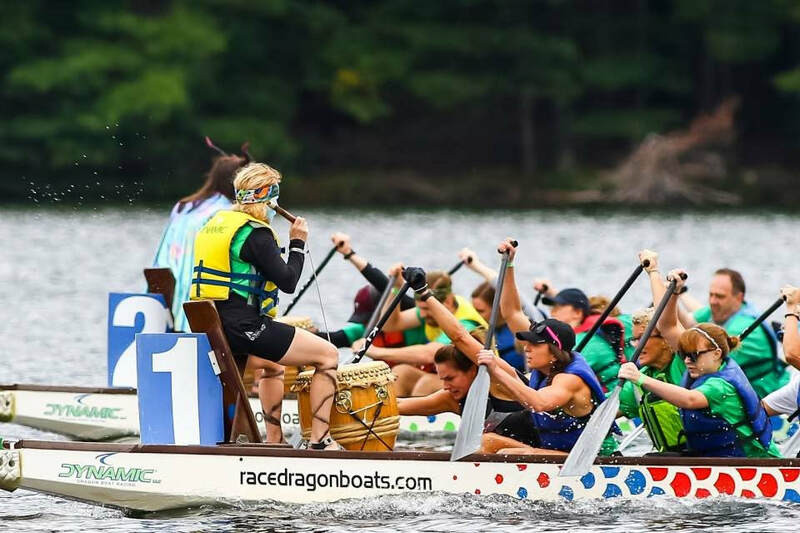 The Y is partnering with Dynamic Dragon Boat Racing, LLC to provide dragon boats and professional race logistic services. 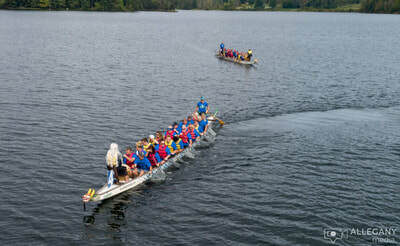 Teams of 20 paddlers, a drummer and steerer race in authentic, 46-foot-long dragon boats. 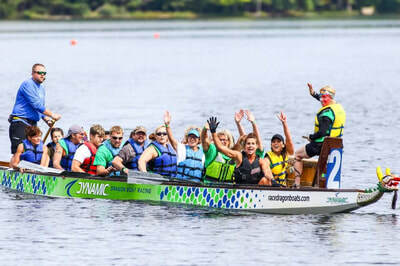 All ages, skill levels and physiques can paddle, making it the ultimate team building sport, requiring synchronicity and finesse, more than power to win. Do you and your team have what it takes to compete for the title of Grand Champion? 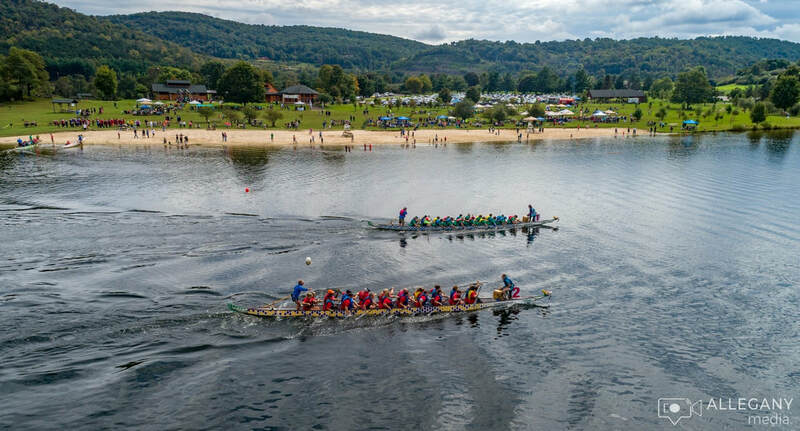 Our all day festival will allow each team 2-4 races with plenty of spectator and festival action – music and a diverse selection of food and beverages. 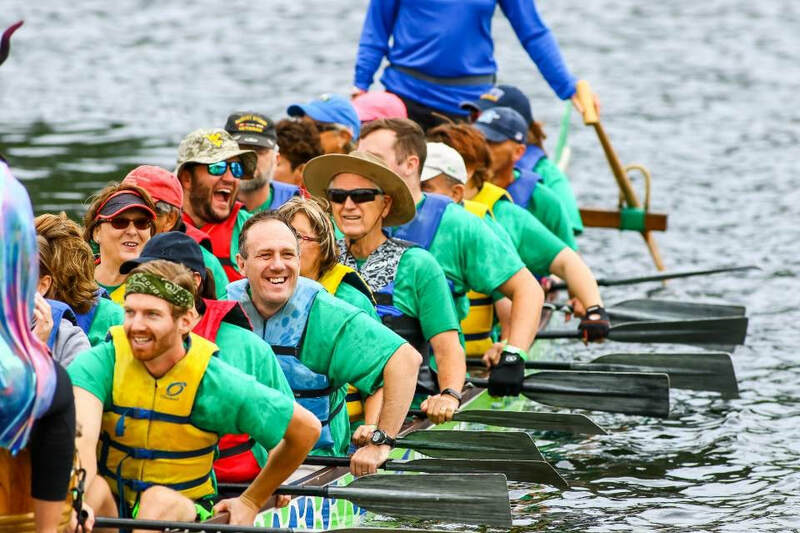 We encourage you to decorate your tent, show off your team T-shirts, bring food, make it a tailgate party with friends – and enjoy the experience. 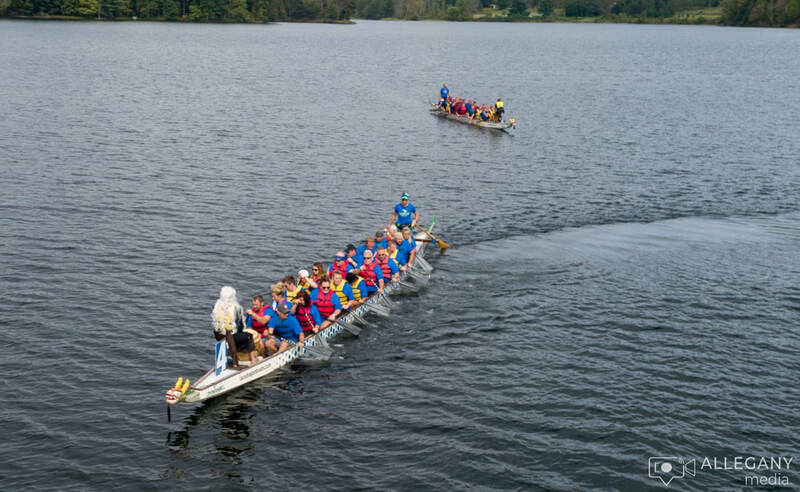 At practice, your team will get competitive strategies to use. Every dollar raised at this event goes directly to support kids, adults, seniors and families in our community with programs that protect, teach, connect, heal, nourish and encourage.